A heavy assault variant of the standard Jesta, the Jesta Cannon features additional weapons systems such as a multi-launcher, improved weapons fire-control systems and upgraded armor sections around the frame. The armor can easily be purged if needed. 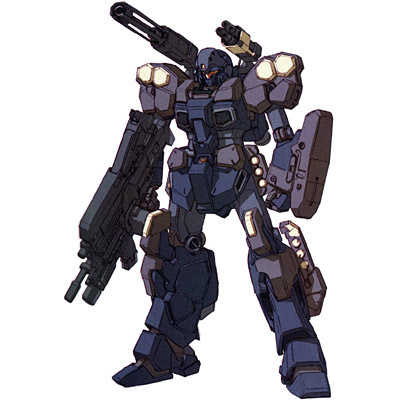 Currently four Jesta units have been assigned to Londo Bell, along with all of the necessary parts and equipment to reconfigure them into either the Cannon or EWAC variants. Typically their deployment formation calls for two nonconfigured Jesta, and then one suit in the Cannon and EWAC configurations respectively.